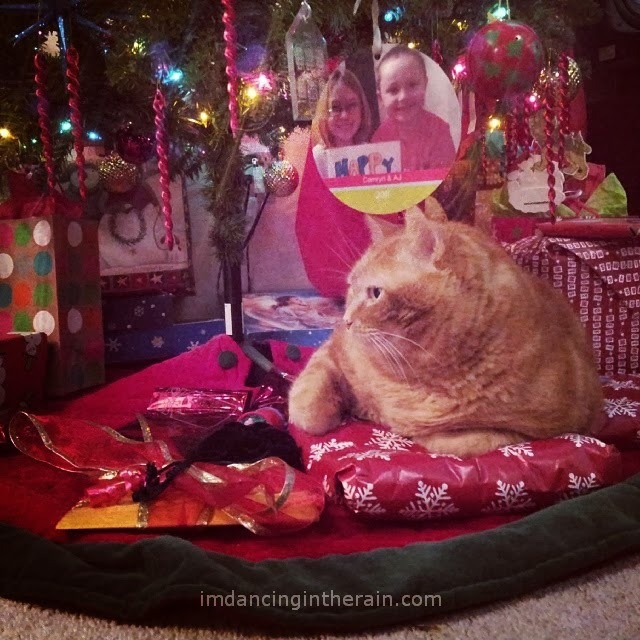 Dancing in the Rain: Merry Christmas! My mom and step-dad are here spending the holiday with us. We have opted not to cook a big meal this year. Instead, we are going out to a nice buffet at the local casino tonight. Then I will let the kids open their new ornaments and PJ's. We will get cookies ready for Santa. After the kids go to bed, we will stuff their stockings and stage the Santa gifts. In the morning, my dad will come over to share in gift-opening with us. And then we will watch football, put things away, and probably get some Chinese food. Oh, and a cat to help not be too angry that there's a dog in his house. 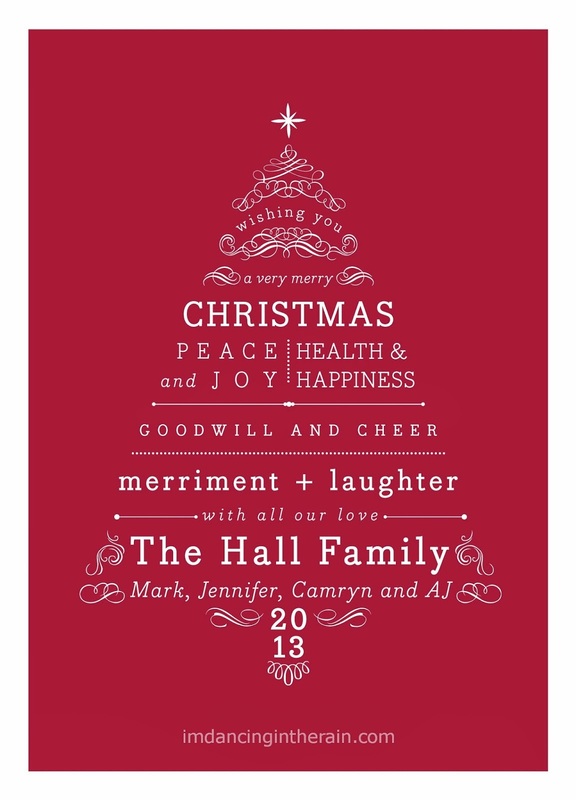 Peace, Love & Joy to you!